It’s pretty obvious that the pro-Russian rebels did it, though it’s not certain yet. Yet Putin refuses to look in the mirror. President Obama needs to adopt a cautious stance in response to the downing of Malaysian Flight MH17 over Ukraine yesterday, and there’s no certainty about who did what, but make no mistake: the responsibility for this tragedy—which cost the lives of nearly 300 innocent people, including a team of internationally known AIDS-HIV experts—lies at the door of Russia’s Vladimir Putin. That doesn’t mean, of course, that either the Russians or the anti-Kiev rebels fired the missile deliberately at the Malaysian plane, though it’s possible that the rebels thought they were firing at a Ukrainian military target. But Putin’s irresponsible stoking of a crisis next door in Ukraine over the past several months, fueled by Russia’s own revanchist policy and Putin’s claims to defend ethnic Russians in “New Russia” has come home to roost. It’s good news that all sides, including the pro-Russia rebels who control the area where the plane exploded, have called for a truce to allow investigators to access the area—though it’s unclear yet whether the rebels will fully comply. Putin says he’ll work with the rest of the world to find out who’s responsible for the MH17 disaster. And the Russian state-owned media, which resembles Iraq’s “Baghdad Bob” in its sheer, unashamed propaganda, is blaming everyone else for the missile that struck the plane except for the Russian-backed rebels who’ve seized parts of eastern Ukraine. The Ukrainian military and the Russian military, and probably the pro-Russian rebels, possess the type of missile apparently used in the MH17 attack, either SA-11s or SA-20s. But since the rebels aren’t known to possess any aircraft, it seems extremely unlikely that the Ukrainian military would fire at anything in the air, while in the past several weeks the rebels have shot down several Ukrainian military aircraft. And there are increasingly reliable reports that cast blame on the pro-Russia rebels, and in their own words. In late June, separatist leaders told the Russian news outlets RIA Novosti and Interfax that they had taken control of a Ukrainian air-defense base near the village of Oleksiivka equipped with Buk missiles. The Donetsk People’s Republic also posted a photo of the missiles, sometimes known as Gadfly systems, on its official Twitter feed at the time, declaring a victory in having seized the weaponry. Malaysian Airlines MH17 plane was travelling almost the same route as Russia’s President Vladimir Putin’s jet shortly before the crash that killed 298, Interfax news agency reports citing sources. “I can say that Putin’s plane and the Malaysian Boeing intersected at the same point and the same echelon. That was close to Warsaw on 330-m echelon at the height of 10,100 meters. The presidential jet was there at 16:21 Moscow time and the Malaysian aircraft—15:44 Moscow time,” a source told the news agency on condition of anonymity. Obviously, the state over whose territory it happened bears responsibility for this terrible tragedy.… This tragedy would not have happened if there was peace on this land, if military action in the southeast of Ukraine had not been resumed. Unless Putin takes immediate steps to wind down the revolt, using his armed forces to close the Ukrainian-Russian border and halting the apparent transborder traffic in weaponry and fighters, it’s likely that the Flight MH17 crisis will further isolate Russia diplomatically and economically. So far, Germany and the rest of Western Europe have resisted calls from the United States to impose significant economic sanctions on Russia, but the pressure on German Chancellor Angela Merkel to do so now will intensify. Not that the sanctions are effective, of course, and indeed Russia is likely to retaliate with sanctions and other actions of its own, which could cause a long-lasting rift between Russia and Europe that would take many, many years to overcome. There is one man who can stop it—President Vladimir Putin of Russia, by telling the Russian-backed separatists in eastern Ukraine to end their insurgency and by stopping the flow of money and heavy weaponry to those groups. But for all his mollifying words and gestures, Mr. Putin has only continued to stoke the flames by failing to shut down those pipelines, failing to support a cease-fire and avoiding serious, internationally mediated negotiations. That’s about right. 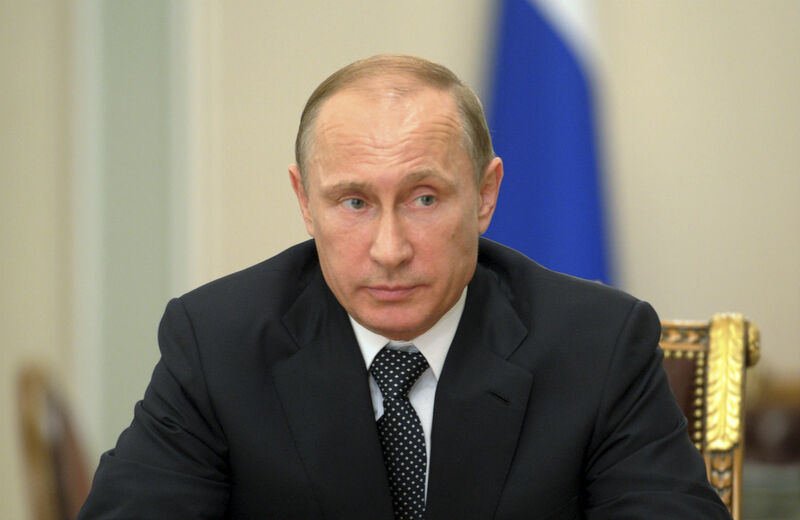 Unfortunately, Putin disagrees—and there isn’t much that the United States can do about it. Unless the MH17 disaster convinces Putin that he’s losing more, in international prestige and whatever soft power Russia has left, than he’s gaining by trying to reverse Ukraine’s inevitable tilt westward.